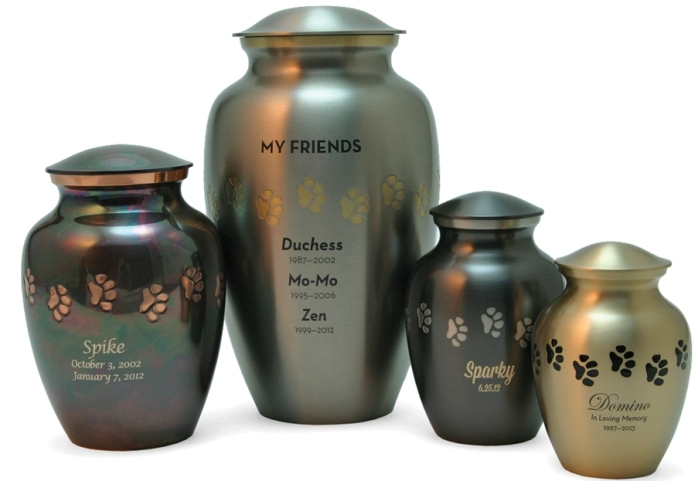 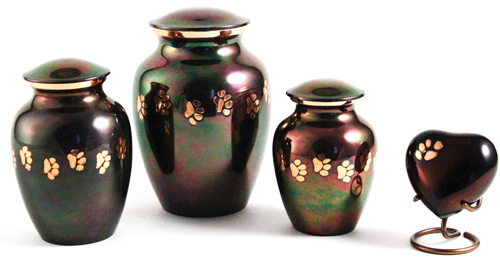 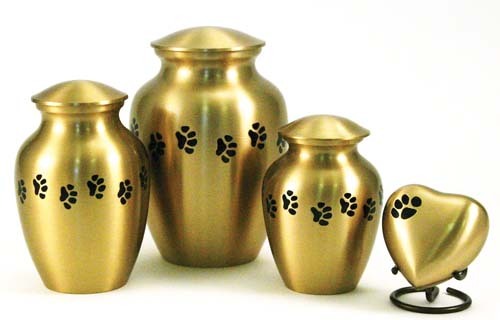 These Paw Print Urns are made from solid brass and come in a variety of sizes and colors. 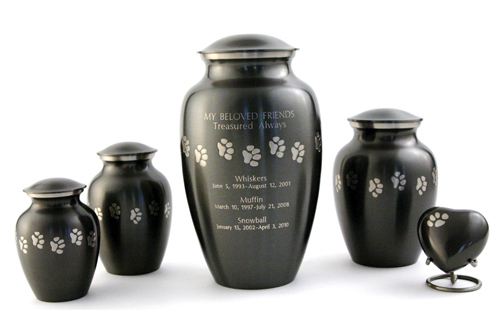 A pet cremation urn you design brings comfort and healing. 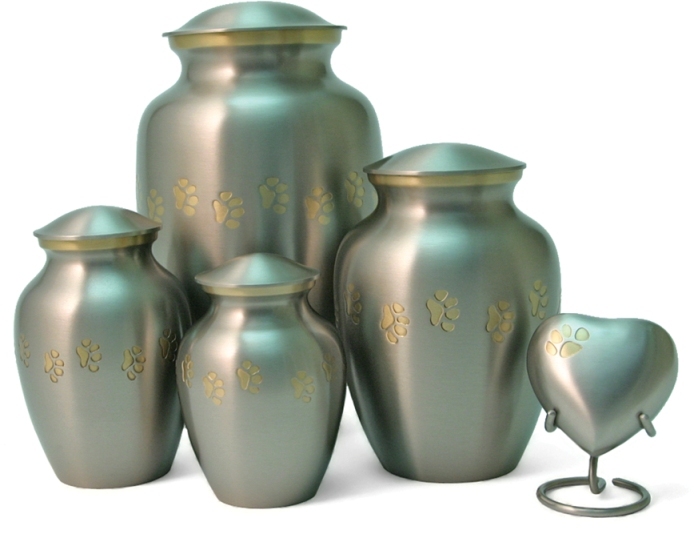 Many pet urn styles: pet memorial urn, pet cremation urns for dogs, cats and other pets.